Digital Disruption is commonplace these days. It occurs so frequently that when it happens it’s not as impressive as it once was. However, it’s an incessant reminder to the C-suite of many traditional organizations of the need to transform in order to keep pace with a market that is unpredictable and in an environment that is far from stable. Alfredo C. Tan, the newly-minted Chief Digital and Innovation Officer at WestJet, has been tasked with driving this new direction for the Canadian airline as it moves to become a global success story. In just two decades, WestJet established more than 13,000 employees, over 100 destinations in North America, Central America, the Caribbean and Europe and an additional 175 destinations in over 20 countries through partnerships. As with almost all industries, the global tourism and travel landscape has witnessed significant changes. This $7.6 trillion sector has seen a pronounced shift in its business model, in part because of disruptors like Airbnb and Uber. The airline industry will not be immune. Crippled by legacy operations and heavy regulation, the desire to transform is not a feat that is surmountable in a short period of time. Above any other industry, airlines are captured within an arcane regulatory framework designed 70 years ago, and whose purpose was to achieve little else than protect against new entry. It is a capital intensive heavily unionized industry, and it is dominated by legacy models still focused on buying and flying expensive metal. But at its heart the airline offering is just another consumer retail product. As such, it is just as susceptible to upheaval… The airline industry as we know it will be unrecognizable by 2025, as fundamental features are uprooted. The process will be accelerated because of the confluence of disruption in each of the key aspects of commercial aviation: flying and selling. I had the pleasure of sitting down with Alfredo C. Tan to explore his journey to WestJet and his vision to instigate some necessary upheaval in an already accomplished organization. Alfredo remembers Cisco Systems “Empowering the Internet Generation” commercials. The powerful message depicted a world transformed by this eventual connectivity across networks and markets. As a student of forensic science and biology at the time, he felt he had missed the opportunity to be part of this incredible wave of dot.com companies being born. Most things in the professional world you can excel at without a formal education in that field. With enough mentorship, intellectual curiosity, aptitude, grit and passion you can find success almost anywhere. Whether it was Bell Canada where he learned to build large scale strategic alliances, enterprise marketing and strategy, or at MSN.ca where he was introduced to the disruptive world of online advertising, media sales and internet marketing, or at Yahoo! Inc. working on Mobile, Search, and corporate partnerships, Alfredo’s journey exemplified this learning mantra throughout his career. Before I returned from a trip in 2007, I exchanged email addresses among those I had just met. And by the time I went on a trip in 2008, everyone exchanged ONLY Facebook IDs. Within 12 months the movement from email to Facebook was unreal. What Facebook was really building was identity at scale. What it really has is people – 2.2 billion people. And as it continues to grow, it continues to be unassailable. He chose to venture to Facebook despite all the guidance and advice otherwise. He remained there for 8 years, where he spent the last two years working with the leadership teams in the high growth markets of South East Asia and Latin America. The learnings were life changing and career defining. Why Can’t Traditional Businesses Adapt to Market Changes? For all the gains Facebook and social networks have made globally, business has still not fully embraced the changes required to keep pace with the dynamic market. Alfredo points to disruptors like Google, Netflix, Facebook, Microsoft, Uber, Apple and Amazon. These companies have a different way of building their innovation culture. What’s common among them? This is a polarized view of how traditional companies operate. As the Chief Digital and Innovation Officer of WestJet, Alfredo’s experiences make him ripe for the challenge ahead. 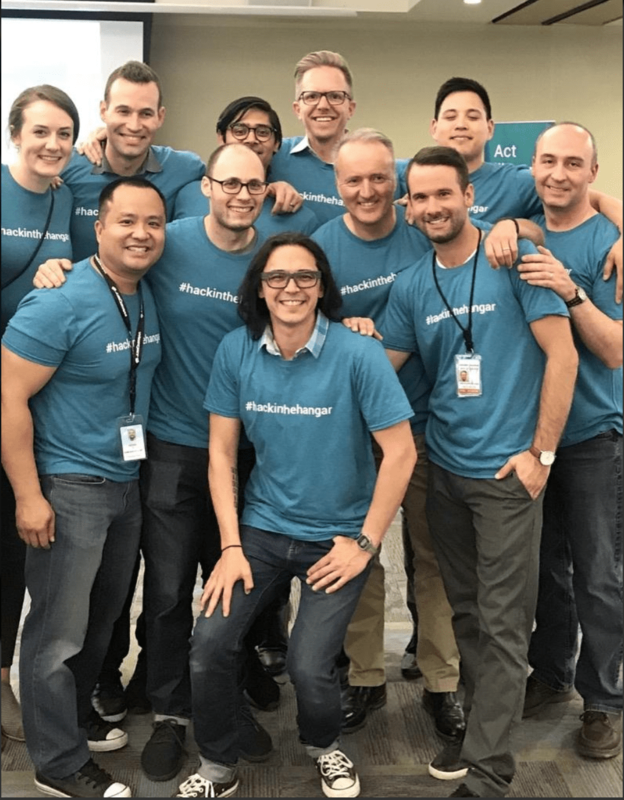 WestJet recognizes the need for change and a culture that supports the changes required. As a traditional company, it behaves much differently than the environments Alfredo was used to. Coming from the tech space, there is a common understanding, a common way of thinking because technology isn’t something you need to convince people to invest in. It’s hard-coded in the DNA of the company. In most traditional companies digital is not foundational to the success of the company. Success comes from other practices within the organization. The challenge becomes convincing a group of people in a company to invest in what you believe to be true. Alfredo would argue the majority of leaders and employees understand the world has dramatically changed but it’s not clear how digital could be a competitive advantage. There’s a process in education and winning the hearts and minds of people to “believe it before they see it”. The executives were sold on change as the new normal at WestJet. Alfredo was inspired by the genuine interest and motivation by the employees to make this a reality. Thinking differently takes time. You can’t make the assumption that people understand simply by saying. Just as he continues to learn about an infinitely complex industry, Alfredo and his team, in turn, need to educate and tell the story in a way that helps the entire company understand the impact of digital and innovation on the business, without the jargon and without the hype. This came to fruition soon enough. WestJet’s VP of Loyalty, d’Arcy Monaghan and Rhonda Reynolds, Product Development Manager, approached Alfredo about developing solutions for the premium traveler, which could then trickle down to all of WestJet’s guests. Alfredo had only been in the job a few weeks and didn’t feel he and his already-constrained team were in a position to solve the problem on their own. While the original idea was to hold a brainstorm among a group of people from various departments, it quickly morphed to include some of Alfredo’s friends from the tech industry. As more people heard about it, the more they wanted to participate. The kernel grew into this idea of a full day hackathon, a competition to develop a seamless premium guest experience and #HackInTheHangar was born. How can we show 13,000 people that we can solve problems in a different way and co-create new experiences? How do we get non-technical people to solve problems in a hack culture? How do we gain the respect of the global tech community to be be inspired and partner with us in our digital and innovation mandate and co-create the future of travel? How do I win the support from key executives in the organization who I would need in order to succeed? The judges for the event were chosen with care and purpose. The objective was to demonstrate the amazing thinking and solutions that were developed within one day, and to have them understand and evangelize Alfredo’s vision for the company. This hackathon revealed how we can innovate around these structural limitations. How do we digitally empower the front lines and augment soft skills WestJetters are known for with technology to tailor guest experiences? …Think of the hurdles that go into a customer’s travel journey: the time to get to the airport, the waiting times for bags, the check-in – things that can add stress. By leveraging the emotional framework of social media and aligning it to the guest journey, we can address these hurdles in a direct way to transform air travel for guests. …Overall, by amalgamating guest profiles with their expectations to what they’re experiencing on board, on the website, and in the airport we can make significant strides in the guest experience. CEO of WestJet, Ed Sims closed the day and declared that in 24 months, WestJet will be a digital company that happens to fly planes. It sent a signal to the tech community and the leadership team that this hackathon wasn’t just a side project; this will literally be the future of the company. The hackathon and the thinking it surfaced are all theatre and theory until you start to build. We have to build the capabilities that we saw were compelling plus other capabilities we will investigate in the future. Innovation is a cultural mindset more than anything else but it comes from building. These brilliant ideas will lay the groundwork for developing those capabilities over the next five years. 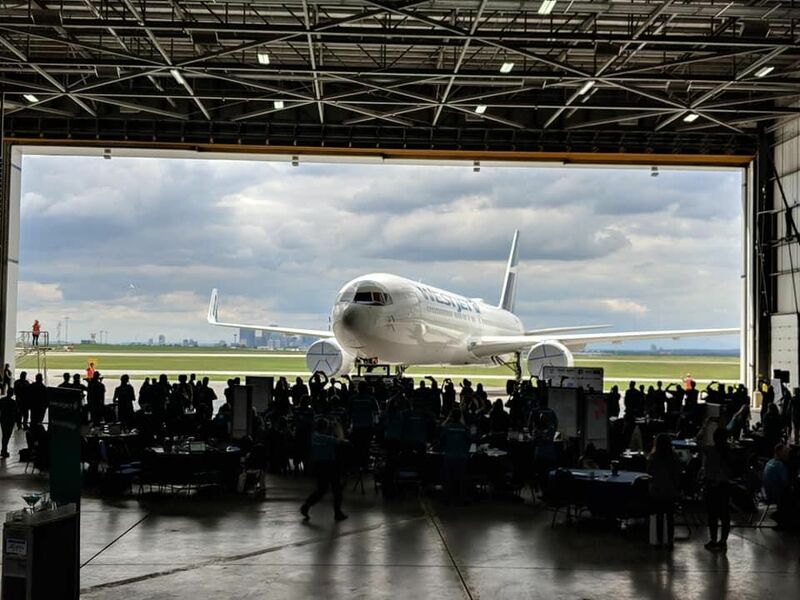 In addition, given the incredible demand to repeat more events after the hackathon WestJet is planning to host an annual event with different themes. In a short period, the acceptance the hackathon generated, instilled an idea to embed the hack culture into the company as a way of addressing problems and empowering cross-functional groups to self-organize and invent solutions in a confined period of time. We’ll find a way to make it pervasive in the organization so a flight crew member who wants to fix a process can gather a group of people to create a solution then present that for budget approval in a matter of days. It’s bringing the hackathon to smaller scale, smaller team sizes, with less fanfare. Hopefully, that will influence 13,000 people to start to think this way. We are just getting started… In the end, I would have failed in my job if I was the only one responsible for the digital and innovation culture. It’s for all WestJetters to embrace it and the future. For someone whose mantra is to be curious and continue learning, Alfredo C. Tan, in the first 90 days, has pushed the organization to think differently, learn new ways of doing things, and challenge the limits of their imagination.